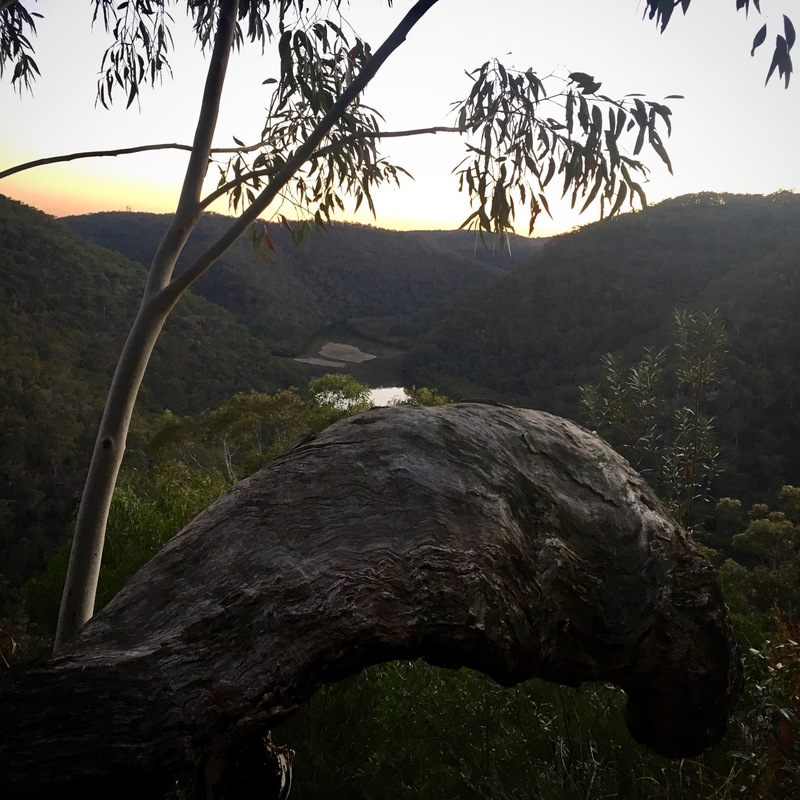 A Sunset Hike to Naa Badu Lookout: Walks in the Wild 4 OneSight! 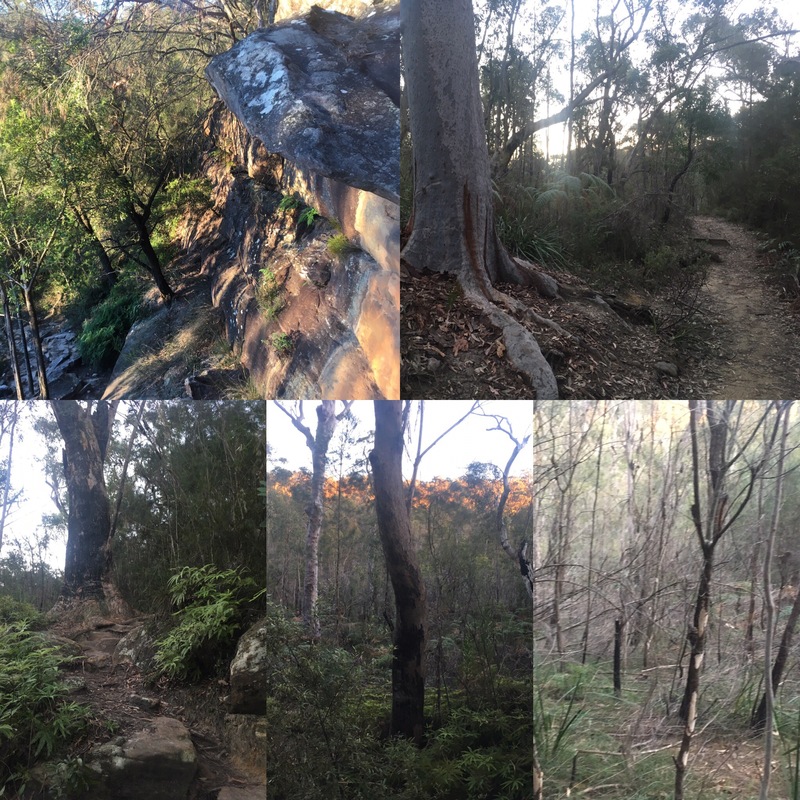 Walks in the Wild for OneSight 47/100km complete! Please find out more or donate by clicking here. 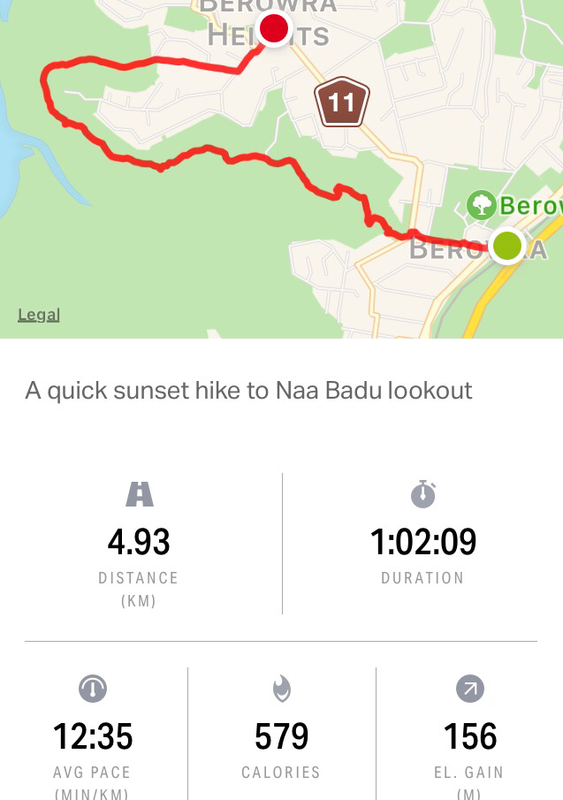 Circumstances led to an hour of free time this evening so I decided to walk the long way home… I took the Great North Walk to the beautiful Naa Badu lookout! My regular readers will recall that I have visited Naa Badu a few times before and have loved it so I’m always happy to find an opportunity to get back there. I had never been there at sunset so this would be new. 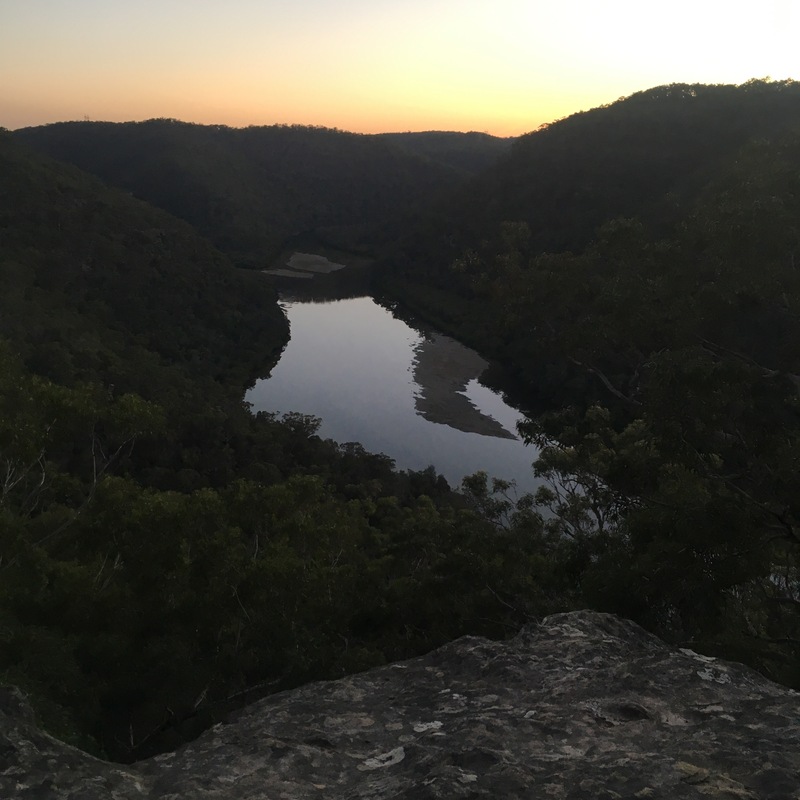 I started my walk from Berowra station and joined the Great North Walk via the Berowra link trail. I’ve never really enjoyed this link trail, it’s always seemed over managed and affected by the nearby town. It seemed a bit dead really. Still, I took a couple of nice photos. I carried on along the link trail until it joined the main spine of the great north walk. This section was much more satisfying, with cliffs reaching up on one side, trickling streams flowing down into the valley, glimpses of views and lots of wildflowers. 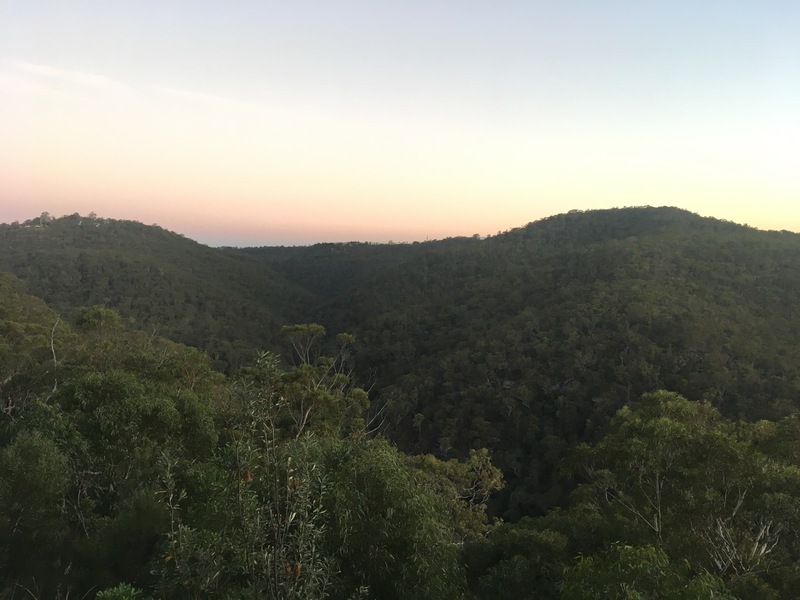 I soon reached the lookout just after sunset and breathed in the beauty for a moment. Then I took photos! Light was failing fast but I’m used to that at the moment! All of my recent walks have been chasing the sun down. I’m not only walking for OneSight but I’m in a Fitbit challenge with the folks at work too and I’ve had to get my steps up so I’ve got lotsa reasons for walking so late! I power walked the rest of the way out of the trail and made it out without having to rely on a torch. I ended the tracking at the local shops where anyone who wishes to follow this route will be able to catch a bus back to the station. I’m walking to raise funds for OneSight to provide eye care for kids and others in disadvantaged areas. Please donate, every little bit counts and it is headed somewhere worthwhile. Click here. Thank you in advance! Oh, if you are interested I have also set up a dedicated instagram account @solo_hiker. Thank you for reading!